The Christian Martyrs' Last Prayer by Jean Leon Gerome, c. 1883. An early Statler Brothers gospel recording of He Is There. Even if I've gone away from you. There is a television series on the History Channel (actually "H2", a subsidiary) called Roman Vice, which documents the degeneracy of Rome during the time of the early emperors, from Tiberius through Nero. Rome's moral code was hardly vigorous to begin with. Every form of vice was accepted and commonplace. 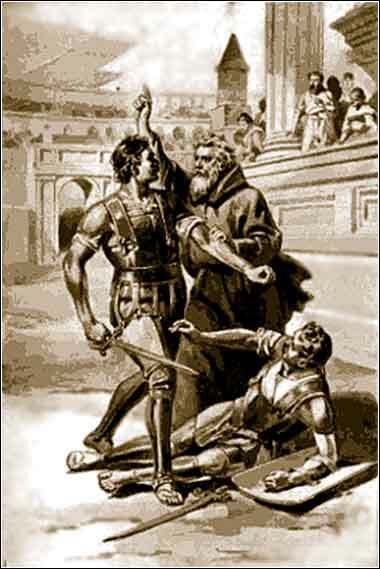 Torture, slavery, slaughter, adultery, monumental vanity in clothing and jewelry, and gambling were considered normal. Tiberius kept a stable of little boys, called his "Minnows". 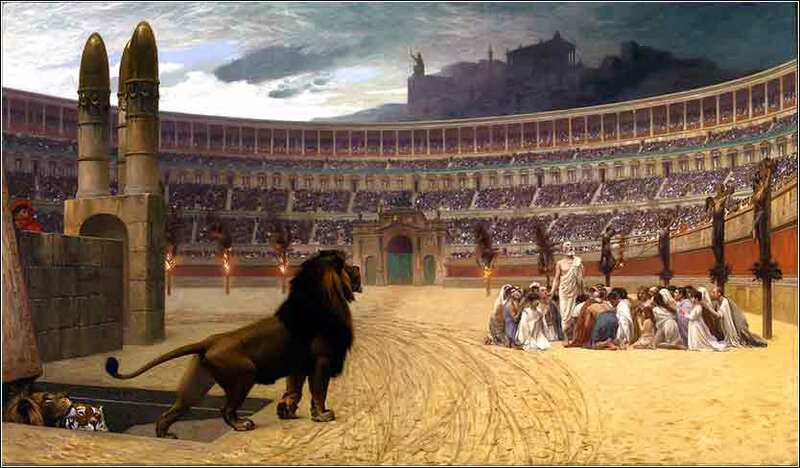 The one great sport was to gather in huge arenas (the Circus Maximus held 250,000 people) to watch men do violence to one another. I'll stop my description there because, although it is tempting to talk about how Western morals have moved continually in a direction towards ancient Rome over the past century, the really interesting part of the show came after Rome burned and Nero needed a scapegoat to blame for it. The show described Christians as they were perceived by Nero.